The billionaire owner of Insys Therapeutics was arrested Thursday and charged with leading a nationwide conspiracy to use bribes and fraud to cause the illegal distribution of a Fentanyl spray intended for cancer patients. 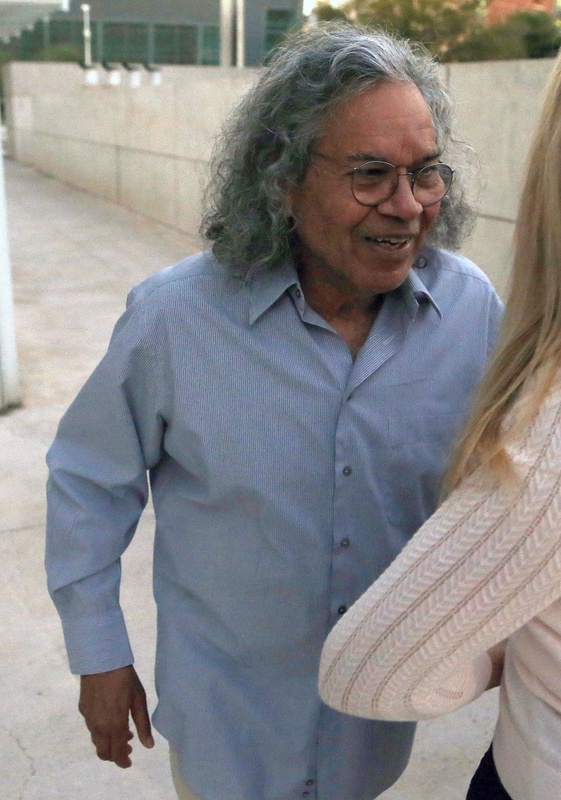 Dr. John N. Kapoor, 74, of Phoenix, Arizona, the founder and former CEO of Insys and still a member of its board, faces federal charges of racketeering, conspiracy to commit fraud and conspiracy to violate the Anti-Kickback law. In addition to fines, the racketeering and fraud charges carry possible prison sentences of up to 20 years, while the kickback charge can bring up to five years. Prosecutors allege the company paid hundreds of thousands of dollars to doctors in exchange for prescribing a spray called Subsys that contained the powerful and addictive synthetic opioid fentanyl. Three top prescribers have already been convicted of taking bribes from Insys. NBC News reported extensively on the company this summer. In her first network interview, Patty Nixon, a company employee turned whistleblower, explained how the company lured doctors into prescribing the drug for patients who didn't need it. "It was absolutely genius," Patty Nixon said of the alleged scheme. "It was wrong, but it was genius." "What I did, I was instructed to do, I was trained to do," Nixon, who was fired by Insys after she says she felt guilty about lying on the job and stopped showing up for work. "It was wrong, but it was genius." After Kapoor's arrest on Thursday, Nixon said, "I wasn't sure this day would ever come. It is a great day for justice. A great day for the victims. Dr. Kapoor is an evil man. I give a lot of credit to all the prosecutors and all the people who worked on bringing him to justice. It's what needs to be done." She said that if she is called upon to testify against Kapoor, "I absolutely will." Subsys is 100 times stronger than morphine. It was approved by the FDA to treat patients with cancer who had "breakthrough" pain, that is, pain which other narcotics are not addressing. Nixon said her role was to make sure Subsys got into the hands of as many patients as possible, whether they had cancer or not. "My job responsibilities were to contact insurance companies on behalf of the patients and the doctors to get the medication approved and paid for by their insurance company," she told NBC News. Subsys is not cheap. A 30-day supply costs anywhere from $3,000 to $30,000. The alleged scheme depended upon getting insurers to pay for it. That was Nixon's job. She said her role was to trick insurers into believing the drug was "medically necessary." "I would say, 'Hi, this is Patty. I'm calling from Dr. Smith's office. I'm calling to request prior authorization for a medication called Subsys,'" recalled Nixon. She said she would sometimes pretend she was calling from the office of a cancer doctor to up the chances of approval as well as select specific diagnosis codes, likely to be approved, whether the patient had the condition or not. "It was a complete bold-faced lie," said Nixon. Sarah Fuller was one of the patients who was prescribed Subsys even though she didn't have cancer. In her case, it was chronic neck and back pain from two car accidents. And when her doctor prescribed Subsys, an Insys sales rep was sitting in the room with them, her father Dave Fuller told NBC News. Within a month, Fuller's prescription was tripled. And 14 months after she started using the drug, she was found dead on a bedroom floor. "Well, technically fentanyl," Fuller's still-grieving mother said. "But a drug company who couldn't care less about a human life. And, apparently, a doctor who didn't either." Fuller's doctor has had her license temporarily suspended but denies responsibility for her death. Sadly, Fuller is not alone. FDA reports of adverse events and possible related complications include hundreds of deaths. An attorney for Fuller's family who is suing, Richard Hollawell, said, "This is serious stuff that we're dealing with ... People need to finally be held accountable." For its part, Insys has denied any responsibility and insists it shouldn't be blamed for how doctors prescribe their products. The corporation is not facing criminal charges and is still selling Subsys — some $240 million worth of Subsys just last year. Dr. Kapoor will appear in federal court in Phoenix Thursday. He will appear in federal court in Boston at a later date. The indictment, unsealed today in Boston, also includes additional allegations against several former Insys executives and managers who were initially indicted in December 2016. "In the midst of a nationwide opioid epidemic that has reached crisis proportions, Mr. Kapoor and his company stand accused of bribing doctors to overprescribe a potent opioid and committing fraud on insurance companies solely for profit," said Acting United States Attorney William D. Weinreb of Massachusetts. "Today's arrest and charges reflect our ongoing efforts to attack the opioid crisis from all angles. We must hold the industry and its leadership accountable." "As alleged, these executives created a corporate culture at Insys that utilized deception and bribery as an acceptable business practice, deceiving patients, and conspiring with doctors and insurers," said Harold H. Shaw, Special Agent in Charge of the Federal Bureau of Investigation, Boston Field Division. "The allegations of selling a highly addictive opioid cancer pain drug to patients who did not have cancer, make them no better than street-level drug dealers." In an email to Reuters Thursday, a lawyer for Kapoor, Brian Kelly, said, "My client is innocent and he intends to fight these charges vigorously." In June, when NBC's investigation first aired, Insys said that charges against individuals discussed in the story related to "previously disclosed investigations and litigation. Insys continues to cooperate with all relevant authorities in its ongoing investigations, including our federal investigation which began in and around December 2013." "We are committed to complying with laws and regulations that govern the promotion of our products and all other business practices. We continue to emphasize ethical behavior within our organization and pursue opportunities to illustrate that our company's mission is to put patients first." A lawyer for Insys declined to provide additional comment after Kapoor's arrest. Meanwhile, Nixon says blowing the whistle on Insys has made her unable to find another job in her field. She said she continues to be racked with guilt over what she did as an Insys employee. "I just want to tell everybody out there who's been hurt, I am so sorry for any suffering or any pain — and for those families that visit their family members at the graveyard and for those family members that see their loved ones going through the pain of addiction," a weeping Nixon said, "I am sorry."